Mexico's rich and diverse culinary traditions include countless complex and vibrant dishes. In these pages, you will find recipes that capture the best of the cuisine, from mole poblano, a long-simmered blend of chiles, seeds, and spices, to bright-flavored ceviche dressed with fresh citrus juice. A chapter on desserts also tempts, whether you crave chocolate cake with chile-infused whipped cream or coffee and KahlÚa flan. 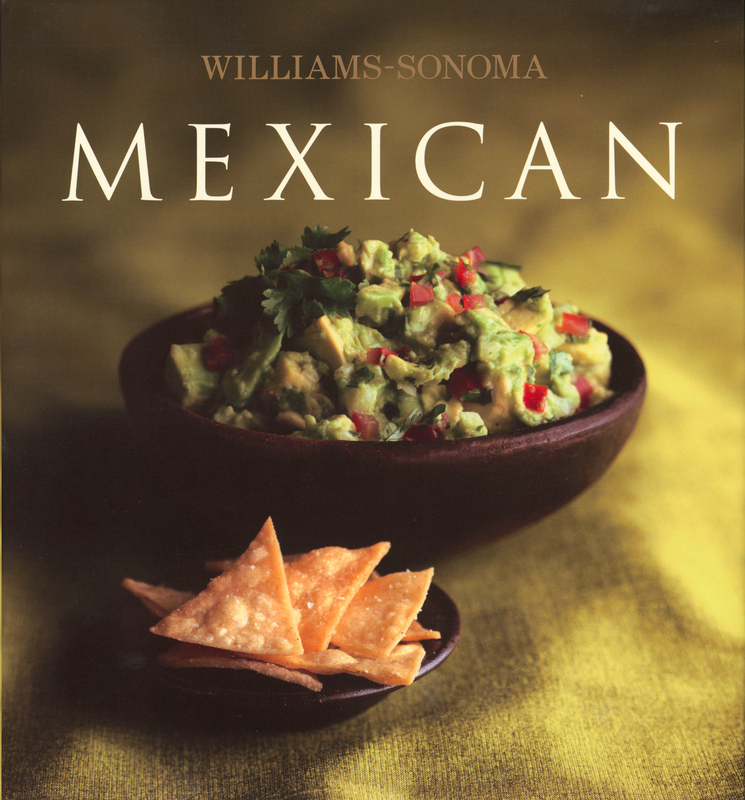 Williams-Sonoma Collection Mexican offers more than 40 recipes, including well-loved classics and many other timeless dishes. For a casual dinner, fill warm corn tortillas with tender morsels of carnitas or chunks of fresh fish lightly fried to a crisp golden brown. Or, plan a summer supper of watercress salad tossed with orange, jicama, and avocado; creamy corn and poblano chile soup; and delicate sea bass topped with salsa verde. Versatile and delicious, Mexican food is always irresistible. Full-color photographs of each dish help you decide which one to prepare, and each recipe is accompanied by a photographic side note that highlights a key ingredient or technique, making Mexican more than just a superb collection of recipes. Including all the basics and an extensive glossary, this essential volume will help you create and enjoy many delicious Mexican meals.